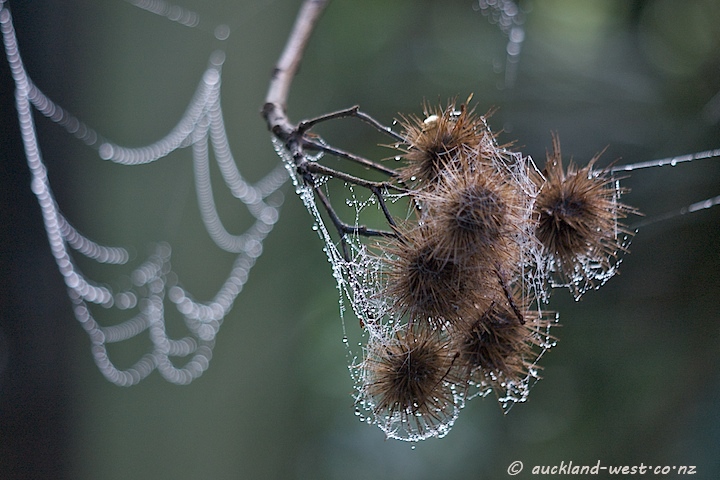 Another shot of whau pods after a foggy morning, taken at Arataki Visitor Centre. The Whau (Entelea arborescens) is a shrub or small tree, endemic to New Zealand. It is a deciduous plant, laden with prickly seed pods in winter. I liked how the out of focus dew drops on the left echo the shape of the cluster of pods.